Fancy a new challenge? Something that gets into the spirit of current events? You read our minds... I have teamed up with one of my favourite bloggers, Laura from Laura Loves Cakes to create a brand new blogger challenge. The idea is to link up all the wonderful seasonal things we make throughout the year to form a wall of wonder every month. Follow Dolly Bakes and Laura Loves Cakes' blogs using the Google Join this Site button. If you're on Twitter, tweet us a link to your post @dollybakes and @lauralovesbakes - otherwise we won't see it! Use the handle #CalendarCakes. We'll retweet the pants off it! 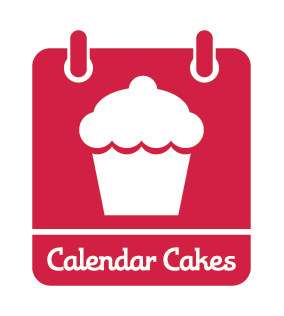 You can use old posts as long as you update them with the ‘Calendar Cakes’ logo and link back (see above). You must submit by 28th of every month. We British have a passion for football. Whether you love it or loathe it, you cannot get away from it when there's a tournament on! 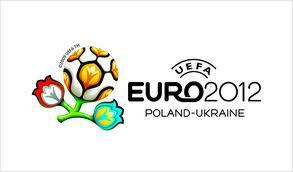 Euro 2012 is being held in Poland and the Ukraine and kicks off on 8th June, running up to 1st July. Everyone can join in, whether your a footy fan or not. It doesn't have to be football related, that's just a starting point. Pick a country and use it as your theme (see a list of teams here). Incorporate food from a chosen European country. Use colours from a chosen European country. Let your imagination go wild! We're excited to see what you all come up with! brilliant idea... I have NO idea what it's going to materialise as but... that's the point of a good challenge! Thanks folks!!! Can't wait to see what everyone comes up with! Football - eek! I don't do football, but I like that you have given us a wide range of options, hopefully I'll be able to find something suitable. Good luck with your new challenge. Thanks Janice! I think this challenge can be interpreted in a variety of ways. I'm excited to see what you come up with!